You have written eloquently before on building a wardrobe aimed, I suspect, at the young city-based professional wanting to start to explore the world of good quality RTW or bespoke tailoring. My question is slightly different. Over the last 40+ years I have built up a considerable but disparate wardrobe of good quality clothes – not all bespoke by any means. Now, as I near the age of 60, I want to ‘downsize’ my wardrobe and start to rebuild it with a limited style and colour range – to almost create a ‘uniform’ which I can wear – with variations of cloth weight – summer and winter. I would not necessarily want this ‘uniform’ to be a formal business suit as I do not have to wear one regularly to my office and I live in a rural part of the UK. Is there a jacket style which I could adopt which could be worn casually or with a tie for business meetings, more formal occasions etc? Jackets and trousers would be bespoke but matched with good quality RTW shirts from Margaret Howell or similar. Shoes a mixture of good RTW (Lobb, Edward Green) or bespoke (Amesbury). It’s an interesting question – similar, in some ways, to the one we often have to ask ourselves when travelling. You have to create a capsule wardrobe where, ideally, all the constituent parts match with each other and can be swapped around to create variation. I would encourage you to start with a couple of well-made jackets. The most versatile colours would be navy and mid- to light grey. The navy is most useful for the dressing-up you mentioned. With the right pair of trousers and tie, it is almost as formal as a suit. A grey herringbone, on the other hand, would go with everything from jeans to flannels. Begin with those two jackets and then put together 3-4 pairs of trousers that go with both of them. My post on odd trousers should be helpful here. I would suggest, as a starting point, that you look at cream, tan, grey flannel and charcoal. Substitute one of those for jeans if you wear them. With the grey flannel, the key is to make sure the grey is sufficiently different in tone to the herringbone jacket. Next, two great pairs of shoes. Go for dark brown and tan. Brown dark enough that it can go beneath charcoal. If you are unlikely to wear cream trousers, then the shoes could be mid- and dark brown. Add in a couple of crewneck sweaters – in say bottle green and navy – and you have a pretty flexible wardrobe. The navy blazer, charcoal trousers and dark shoes will be pretty formal with a dress shirt and tie; the herringbone jacket will be pretty casual with cream chinos and tan brogues. I hope that helps. If you’re going bespoke, a Neapolitan construction from someone like Solito or Caliendo will help a lot to bridge the gap between casual and formal. You can follow the discussion on Building a capsule wardrobe: reader question by entering your email address in the box below. You will then receive an email every time a new comment is added. These will also contain a link to a page where you can stop the alerts, and remove all of your related data from the site. 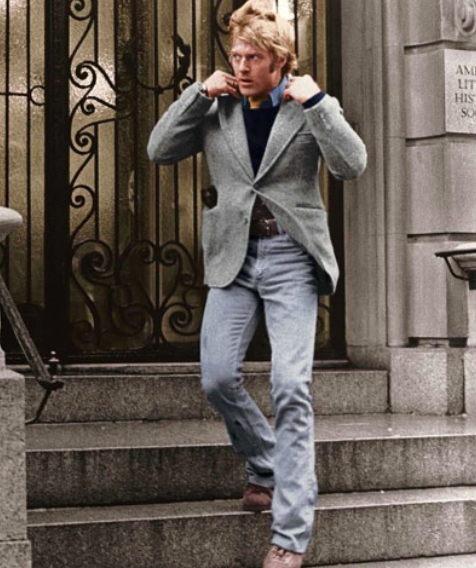 You’ve written a lot about the versatility of navy and light grey jackets. I’d like to get a navy jacket in addition to my typical worsted blazers with metal buttons. Can you point me to articles about your navy jackets? I’d love to see what you wear to get ideas. Good idea. I only have two actually: a Gieves & Hawkes travel jacket that you can search for, which was in hopsack, and a Solito cashmere one that I’ve only just had made and haven’t written about yet. Of the two, I’d suggest the second is the most useful, despite the apparent versatility of the former. So look out for the post on that. Thanks. I found the travel blazer, which is similar to the blazer I have except for the pocket styles. I look forward to seeing your navy cashmere blazer. What do you think of navy tweed, in herringbone or donegal? I agree that they work well in grey, and that’s what I’m used to seeing. I have a medium grey donegal tweed jacket and a medium grey and cream herringbone camelhair jacket. I’d like to get something else in navy, but I don’t want something as delicate as cashmere, nor do I want another blazer with shiny buttons. I have smoked mother-of-pearl on my navy hopsack blazer, which looks like metal. Maybe doeskin with horn buttons? 1. Would you recommend any books for a soft, light-ish weight grey that would work as an odd jacket (not looking for a heavy tweed herringbone or donegal, but the rub is finding something sufficiently casual to avoid the half-a-suit issue; glen plaid with overcheck is not sufficient in my view). 2. What are your preferred odd trousers with the grey odd jacket? (I’ve read your general post on odd trousers.) Do you think navy cotton drill can ever be made to work? The consensus at StyleForum is not, but this may be groupthink. 1. From English mills, my favourite is Harrison’s Moonbeam. Though that might be a little too heavy for you. Also try Caccioppoli’s jacketings bunches – there are two, Winter and Summer. For reference, I had a Cifonelli DB jacket in grey herringbone from Moonbeam, a navy jacket from Thom Sweeney in the winter Caccioppoli and a grey checked jacket from Solito in the summer Caccioppoli. All of those are on the blog – just look them up with the search function. 2. Absolutely. Groupthink indeed. Navy twill can certainly work – I have chinos from Incotex I wear for that purpose. The key is making sure there is sufficient contrast between jacket and trouser, which is obviously easier the paler the jacket is. Great. It’s a lovely bunch and the lambswool/angora mix makes it more affordable than cashmere. Yes I believe it was 36654, although the shades change a little with each piece and mine was a few years ago. If I had to add a couple of shirts to the list, what colours/fabrics should be included please? Really appreciate your sage advice! Hey Andy. If it was only a couple, I’d stick to both pale blue, in a fairly standard cloth and no pattern. By far the most versatile colour. I generally have about three blue shirts to one white/patterned. I rather like the corduroy jacket in your article, do you have any idea as to the maker? From a perspective of formality, is a mid-gray plaid suit the same as a blue plaid suit? A lot will depend on the plaid and colour of the suit exactly, rather than whether it’s blue or grey. Just my thoughts on this, but if I was seeking to create a ‘uniform’ – a set of clothes that all work well together – I’d probably start by staring at a colour wheel for a while and planning it from there. If you can pick out one colour scheme, eg max five colours, that work well with your hair colour and complexion, then you have the start of a look which is consistent and where the items have a high degree of comparability with one another. Colour (rather than texture/fabric/level of formality/countryside vs city) is the one thing that is really going to determine whether you can use pieces together or not so should perhaps be the primary input into the process. Thank you for your reply to my original question. Your Caliendo Neopolitan Tweed Jacket would be a good starting point for the jacket style. Hopefully I can get my usual tailor to make something similar – though perhaps slightly less ‘waisted’. I shall probably restrict my colour range to navy, charcoal and grey. I admire the discipline of those like the British actor Bill Nighy who seem able to wear a navy lounge suit (or similar) exclusively but doubt if I could resist the attraction of a different but complimentary colour. 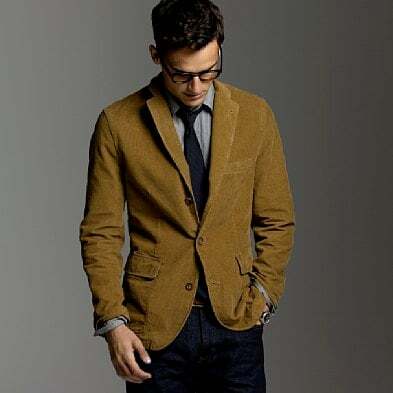 Can corduroy jackets be altered normally like wool jackets (sleeve length, take in the waist). One older salesman told me this can be a little harder due to jackets being thicker. Is corduroy mostly in RTW or does is exist in MTM, bespoke? If this is the case, do you have any suggestions where in the London area could carry out this work? I would have a question not directly related to the post above, but maybe indirectly so: I have been quite busy in the last seven years or so to build up a wardrobe myself, with investments that will certainly not reach your levels but were still quite substantial from my perspective. And obviously once you start, it’s hard to stop; and there always seems to be something, even something very classical, that one does not have but which does look really great on some pictures: This kind of odd jacket, those country leather boots, that tweed suit, and so on. And even though I have benefitted massively from some of the advice on your website and in other places, and have tried to keep in mind to always consider when I would wear certain things, in the end I have ended up with some items that I thought I need to have, and then I kind of find out I do not wear them. Long story short: I take it from some of the posts that even you may not always have fully escaped that trap, so I was thinking it might be helpful if you could share some insights about your experience with items that the strive for sartortial completeness (if that is a combination of terms that makes any sense) seems to require but that will most likely end up just sitting in the wardrobe of the modern urban citizen. PS – Sorry for potential posting this twice, I was not sure it was taken on the first time as I forgot to enter my name. What a great site and a great thread – I’m beginning to wonder where I’ve been all my life. As an elegantly ageing hipster that turned the page on corporate life a while ago, I have had great fun undergoing exactly the ‘downsizing’ that John refers to in his question and can’t exaggerate the importance that corduroy can play in the transition. I had Anderson & Sheppard make me a mid blue single breasted corduroy suit in a thin wale and it’s turned out to be the most complemented and versatile piece in my wardrobe. It has a multiplicity of uses. Is great for all but the most formal occasions. Looks fabulous with knitted ties or with a light slipover seater. Is also great for traveling in and even looks good creased! I love it to bits and would like to be buried in it providing, somebody has the foresight to slip a flask of Talisker into my pocket. Seriously, such is the depth of my love for this piece, I have a jacket with a broader wale currently under construction by A&S. One last piece of advice on the wardrobe liberation is the importance that Chelsea boots can play. Particularly in suede. Tod’s do a great pair. Hi David, that suit sounds particularly interesting. I would love to see a picture if you would be so kind to share. I was watching Bryan Ferry on Jools Holland’s excellent show earlier this week. It appeared he was wearing a (slightly loose) Andersen and Sheppard suit in moleskine. His boots were probably Lobb although Simon might correct me there. Yes Rob – I think you are correct, Ferry’s suit looks to be A&S but I suspect it’s velvet rather than moleskin. Ironically, it is the exact same colour as one of the cords they made for me. I’ll have my son take a photo of it and post it next time he’s around (I’m technically challenged). If you’re trying to build a smart casual capsule wardrobe, what about the option of getting a grey flannel suit in a casual cut, then having the option to wear them together or separately? Or do you think it’ll be better to get a grey tweed or cashmere jacket with a separate pair of darker grey flannels? I want to improve my wardrobe with some jackets and shirts, especially for the coming spring and summer. Bespoke offers mostly the best quality, but can be quite expensive. Actually I have invested in some bespoke garments, but I can not effort the money to build my complete wardrobe with bespoke items. Do you have any recommendations for RTW, which offers a good value for money? Do you think a jacket in a gray herringbone is more versatile than in a gray Donegal? Potentially, yes, but it’s pretty close. Hi Simon, I am looking to get a grey sport jacket made in Moonbeam but cannot decide on the right shade. Which shade is more versatile 36655 or 36656 ? Much appreciated. https://www.harrisonsofedinburgh.com/collections/harrisons-of-edinburgh/moonbeam. Hi Simon! I’m not sure if you remember we met at the NYC signing of The Style Guide at the Armoury; I had to wear a mask for health reasons. I’ve been looking into getting my first bespoke made up in Hong Kong for around HKD8000. I’m heading into dental school and I expect to be wearing trousers regularly with an odd jacket when not in my white doctor’s coat, with suits only for events. As such, I’m thinking of commissioning a suit that is intended to be worn as separates with the primary aim of versatility with Neapolitan construction and patch pockets. I’m thinking of sticking within the realm of textured solids and was considering an oatmeal twill similar to your Caliendo jacket but without cashmere for the trousers. Alternatively, a light grey flannel or donegal/shetland tweed. Any suggestions or complications I may not have considered ? Yes I do, and thanks for the question. Getting a ‘three-way’ suit that can also be worn as a separate jacket and trousers is hard, and usually works best with more casual materials than it sounds like you’re looking for – eg corduroy. A donegal might work, and that’s worth exploring, but the trousers will be a bit less normal and versatile. To be honest, I would suggest getting a sports jacket and trousers now that you feel more confident in (eg that oatmeal with some dark flannel or high-twist wool trousers) and then get a suit only later if you really feel you need it.